Engage using HR services and benefits. Green Circle Life will become part of your daily activities. You have greater productivity and higher profitability with engaged, healthy and happy employees. Your employees and their families get more from the company-provided services and benefits. Green Circle Life delivers greater return on your human capital investments. Winner of the Department of Health and Human Services' Office of the National Coordinator for Health Information Technology (ONC), Consumer Health Data Aggregator Challenge, 2016. Winner of the Department of Health and Human Services' Office of the National Coordinator for Health Information Technology (ONC), Ultimate Connector Award, 2016. 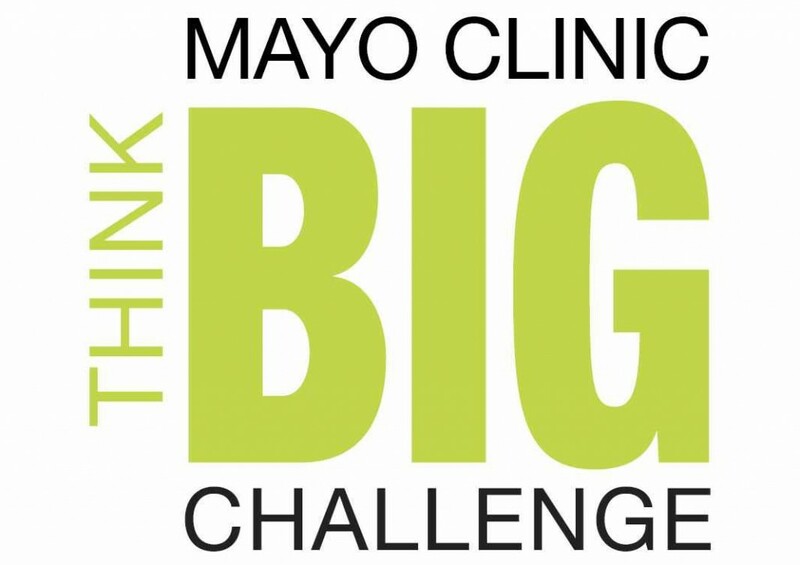 Semi-finalist in Mayo Clinic's inaugural THINK BIG Challenge, 2015. Hon. mention in Intelligent Healthcare Association Awards, 2017. Improve engagement and utilization of employer-provided benefits and services with a branded HR app. Offer organization-wide communication gateway for higher participation in programs. Manage incentives and rewards in the app. Use wellness assessment, biometric screening, self-reported health, vitals and activity data, and pharmacy and claims data to develop population health and wellbeing plans. Offer lifelong family health records in one place. Offer comprehensive wellness programs and challenges to help employees attain work-life balance. Holistic wellbeing programs are personalized to meet the needs of employees and their families. Bring wellness and healthcare services together in a single app for employees and their families. Offer clinically sound personalized programs, coaching and preventive follow-up with health coaches to improve outcomes and lower costs. Offer coaching and guidance to employees and their families with a dedicated team of clinicians - nurse practitioners, health coaches, nutritionist and others working under the supervision of physicians. FOR BROKERS Partner with a technology leader. Employers find it difficult to effectively communicate their benefits and engage employees in their culture. They will get more from benefits investment by offering easy access using a branded HR app. By bringing family members access to such information will drive proper utilization and engagement. This will differentiate you and win more business. Green Circle HR, Green Circle Health and Green Circle Wellness services will replace or complement services like wellness assessment, biometric screening, wellness challenges, remote monitoring, live coaching, chronic condition management and more. You create a delightful user experience at much lower cost. Green Circle Health works with hospitals and clinics to expand their wellness screening services for corporate clients. With improved workflow to manage screening events and wellness risk assessment, you can create a new source of revenue. The integrated employee app for access to events and assessment will open path to full wellness and condition management programs. The Green Circle Live clinical staff is available to complement your team. Chronic Care Management (CCM) and Complex CCM services for Medicare patients are recognized by CMS as a critical component of patient care that contributes to better health and care for individuals. The Green Circle platform seamlessly exchanges data with your own systems and provides a secure platform to aggregate Patient Health Information (PHI) and interact with clients. Green Circle Live clinical staff is setup to build your CCM practice for better service and new source of revenue. The following Terms of Service Agreement (the "TOS") is a legally binding agreement that shall govern the relationship with our users and others which may interact or interface with Simple Healthcare LLC (SHL), also known as Green Circle Health(GCH), with address of 5 Portofino Drive, Suite 2101, Pensacola Beach, Florida 32561, and our subsidiaries and affiliates, in association with the use of the SHL websites, which includes greencirclehealth.com and gogch.com and other addresses (the "Site") and its services ("Services"), which shall be defined below. Green Circle Health (GCH) is an information service platform for a person to store, use and share personal, medical, financial and other data including but not limited to history, vitals and documents. GCH stores medical data typically needed to check-in at a medical facility. GCH enables recording and remote monitoring of vitals and fitness activities for health and wellness. GCH offers support and live service assistance and is hereby included in this service definition. GCH is a communication gateway for coordination of wellness and care programs among family members, care givers, coaches and healthcare providers. Such services may be offered by insurers, employers, healthcare systems and clinical or academic research organizations. Such services may be accessed using web browsers, APIs or apps. Any and all visitors to our site directly or via APIs or apps, despite whether they are registered or not, shall be deemed as "users" of the herein contained Services provided for the purpose of this TOS. Once an individual registers for our Services, through the process of creating an account, the user shall then be considered a "member." All members are users but all users are not members. The user acknowledges and agrees that the Services provided and made available through our website and applications, which may include some mobile applications and that those applications may be made available on various online sites and numerous other platforms, stores and downloadable programs, are the sole property of SHL. At its sole discretion, SHL may offer additional websites or services and/or products, or update, modify or revise any current content and Services, and this Agreement shall apply to any and all additional services and/or products and any and all updated, modified or revised Services unless otherwise stipulated. SHL does hereby reserve the right to cancel and cease offering any of the aforementioned Services and/or products. You, as the end user and/or member, acknowledge, accept and agree that SHL shall not be held liable for any such updates, modifications, revisions, suspensions or discontinuance of any of our Services and/or products. Your continued use of the Services provided, after such posting of any updates, changes, and/or modifications shall constitute your acceptance of such updates, changes and/or modifications, and as such, frequent review of this Agreement and any and all applicable terms and policies should be made by you to ensure you are aware of all terms and policies currently in effect. Should you not agree to the updated, modified, revised or modified terms, you must stop using the Services. Furthermore, the user understands, acknowledges and agrees that the Services offered shall be provided "AS IS" and as such SHL shall not assume any responsibility or obligation for the timeliness, missed delivery, deletion and/or any failure to store user content, communication or personalization settings. To register and become a "member" of the Site, you must be 18 years of age to enter into and form a legally binding contract. In addition, you must be in good standing and not an individual that has been previously barred from receiving SHL's Services under the laws and statutes of the United States or other applicable jurisdiction. If anyone knowingly provides any information of a false, untrue, inaccurate or incomplete nature, SHL will have sufficient grounds and rights to suspend or terminate the member in violation of this aspect of the Agreement, and as such refuse any and all current or future use of GCH Services, or any portion thereof. It is SHL's priority to ensure the safety and privacy of all its visitors, users and members, especially that of children. Therefore, it is for this reason that the parents of any child under the age of 18 that permit their child or children access to the GCH website platform Services must create a "family" account, which will certify that the individual creating the "family" account is of 18 years of age and as such, the parent or legal guardian of any child or children registered under the "family" account. As the creator of the "family" account, s/he is thereby granting permission for his/her child or children to access the various Services provided, including, but not limited to, message boards, email, and/or instant messaging. It is the parent's and/or legal guardian's responsibility to determine whether any of the Services and/or content provided are age-appropriate for his/her child. Every member's registration data and various other personal information are strictly protected by the SHL Privacy Agreement (see the full Privacy Agreement at gogch.com/app/privacy.html). As a member, you herein consent to the collection and use of the information provided, including the transfer of information for storage, processing or use by you, SHL and/or our subsidiaries and affiliates. After completion of the registration and creation of your username, you will receive a random temporary password-which you must change to establish your own strong password. You should change your password frequently. You shall be responsible for maintaining the secrecy and confidentiality of your password and for all activities that transpire on or within your account. It shall be your responsibility to notify SHL immediately if you notice any unauthorized access or use of your account or password or any other breach of security. SHL shall not be held liable for any loss and/or damage arising from your failure to comply with this term and/or condition of the TOS. As a member of the Site, you herein acknowledge, understand and agree that all information, text, software, data, photographs, music, video, messages, tags or any other content, whether it is publicly or privately posted and/or transmitted, is the expressed sole responsibility of the individual from whom the content originated. In short, this means that you are solely responsible for any and all content posted, uploaded, emailed, transmitted or otherwise made available by way of GCH Services, and as such, we do not guarantee the accuracy, integrity or quality of such content. It is expressly understood that by use of our Services, you may be exposed to content including, but not limited to, any errors or omissions in any content posted, and/or any loss or damage of any kind incurred as a result of the use of any content posted, emailed, transmitted or otherwise made available by GCH. SHL hereby reserves the right to pre-screen, refuse and/or delete any content currently available through our Services. In addition, we reserve the right to remove and/or delete any such content that would violate the TOS or which would otherwise be considered offensive to other visitors, users and/or members. protecting the rights, property or the personal safety of SHL, its visitors, users and members, including the general public. SHL hereby reserves the right to include the use of security components that may permit digital information or material to be protected, and that such use of information and/or material is subject to usage guidelines and regulations established by SHL or any other content providers supplying content services to SHL. You are hereby prohibited from making any attempt to override or circumvent any of the embedded usage rules in our Services. Furthermore, unauthorized reproduction, publication, distribution, or exhibition of any information or materials supplied by our Services, despite whether done so in whole or in part, is expressly prohibited. The content submitted or made available for inclusion on the publicly accessible areas of SHL's sites and services, the license provided to permit to use, distribute, reproduce, modify, adapt, publicly perform and/or publicly display said Content on our Services is for the sole purpose of providing and promoting the specific area to which this content was placed and/or made available for viewing. Photos, audio, video and/or graphics submitted or made available for inclusion on the publicly accessible areas of SHL's sites and services, the license provided to permit to use, distribute, reproduce, modify, adapt, publicly perform and/or publicly display said Content on our network Services are for the sole purpose of providing and promoting the specific area in which this content was placed and/or made available for viewing. For any other content submitted or made available for inclusion on the publicly accessible areas of SHL's sites and services, the continuous, binding and completely sub-licensable license which is meant to permit to use, distribute, reproduce, modify, adapt, publish, translate, publicly perform and/or publicly display said content, whether in whole or in part, and the incorporation of any such Content into other works in any arrangement or medium currently used or later developed. Those areas which may be deemed "publicly accessible" areas of SHL's sites are those areas of our sites and services which are meant to be available to the general public, as well as restricted to members and would include message boards, bulletin boards, and groups that are openly available to both visitors and members. However, those areas which are not open to the publicand other members, and thus available to individual member only, would include personal storage of documents, data, our mail system, and instant messaging. SHL is under no obligation to either compensate or provide any form of reimbursement in any manner or nature. All users and/or members herein agree to insure and hold SHL, our subsidiaries, affiliates, agents, employees, officers, partners and/or licensors blameless or not liable for any claim or demand, which may include, but is not limited to, reasonable attorney fees made by any third party, which may arise from any content a member or user of our site may submit, post, modify, transmit or otherwise make available through our Services, the use of SHL Services or your connection with these Services, your violations of the Terms of Service and/or your violation of any such rights of another person. The member or user herein agrees not to replicate, duplicate, copy, trade, sell, resell nor exploit for any commercial reason any part, use of, or access to SHL's sites. You herein acknowledge that SHL may set up any such practices and/or limits regarding the use of our Services, without limitation of the maximum number of days that any email, message posting or any other uploaded content shall be retained by GCH, nor the maximum number of email messages that may be sent and/or received by any member, the maximum volume or size of any email or text message that may be sent from or may be received by an account on our Service, the maximum disk space allowable that shall be allocated on GCH's servers on the member's behalf, and/or the maximum number of times and/or duration that any member may access our Services in a given period of time. In addition, you also agree that GCH has absolutely no responsibility or liability for the removal or failure to maintain storage of any messages and/or other communications or content maintained or transmitted by our Services. You also herein acknowledge that we reserve the right to delete or remove any account that is no longer active for an extended period of time. Furthermore, GCH shall reserve the right to modify, alter and/or update these general practices and limits at our discretion. There may be fees or charges by third parties when you send or receive messages or use data on such devices and such costs are sole responsibility of such recipient, user or member. SHL shall reserve the right at any time it may deem fit, to modify, alter and or discontinue, whether temporarily or permanently, our service, or any part thereof, with or without prior notice. In addition, we shall not be held liable to you or to any third party for any such alteration, modification, suspension and/or discontinuance of our Services, or any part thereof. As a user of GCH, you may cancel or terminate your account, associated email address and/or access to our Services by submitting a cancellation or termination request to support@gogch.com. the nonpayment of any associated fees that may be owed by you or a third party on your behalf in connection with your GCH account Services. Furthermore, you hereby agree that any and all terminations, suspensions, discontinuances, and or limitations of access for cause shall be made at our sole discretion and that we shall not be liable to you or any other third party with regards to the termination of your account, associated email address and/or access to any of our Services. Any correspondence or business dealings with, or the participation in any promotions of, advertisers located on or through our Services, which may include the payment and/or delivery of such related goods and/or Services, and any such other term, condition, warranty and/or representation associated with such dealings, are and shall be solely between you and any such advertiser. Moreover, you herein agree that SHL shall not be held responsible or liable for any loss or damage of any nature or manner incurred as a direct result of any such dealings or as a result of the presence of such advertisers on our website. Either SHL or any third parties may provide links to other websites and/or resources. Thus, you acknowledge and agree that we are not responsible for the availability of any such external sites or resources, and as such, we do not endorse nor are we responsible or liable for any content, products, advertising or any other materials, on or available from such third party sites or resources. Furthermore, you acknowledge and agree that SHL shall not be responsible or liable, directly or indirectly, for any such damage or loss which may be a result of, caused or allegedly to be caused by or in connection with the use of or the reliance on any such content, goods or services made available on or through any such site or resource. You do hereby acknowledge and agree that GCH's Services and any essential software that may be used in connection with our Services ("Software") shall contain proprietary and confidential material that is protected by applicable intellectual property rights and other laws. Furthermore, you herein acknowledge and agree that any Content which may be contained in any advertisements or information presented by and through our Services or by advertisers is protected by copyrights, trademarks, patents or other proprietary rights and laws. Therefore, except for that which is expressly permitted by applicable law or as authorized by SHL or such applicable licensor, you agree not to alter, modify, lease, rent, loan, sell, distribute, transmit, broadcast, publicly perform and/or created any plagiaristic works which are based on GCH Services (e.g. Content or Software), in whole or part. SHL herein has granted you, personal, non-transferable and non-exclusive rights and/or license to make use of the object code or our Software on a single computer / device, as long as you do not, and shall not, allow any third party to duplicate, alter, modify, create or plagiarize work from, reverse engineer, reverse assemble or otherwise make an attempt to locate or discern any source code, sell, assign, sublicense, grant a security interest in and/or otherwise transfer any such right in the Software. Furthermore, you do herein agree not to alter or change the Software in any manner, nature or form, and as such, not to use any modified versions of the Software, including and without limitation, for the purpose of obtaining unauthorized access to our Services. Lastly, you also agree not to access or attempt to access our Services through any means other than through the interface which is provided by SHL for use in accessing our Services. THE USE OF SHL SERVICES AND SOFTWARE ARE AT THE SOLE RISK BY YOU. OUR SERVICES AND SOFTWARE SHALL BE PROVIDED ON AN "AS IS" AND/OR "AS AVAILABLE" BASIS. SHL AND OUR SUBSIDIARIES, AFFILIATES, OFFICERS, EMPLOYEES, AGENTS, PARTNERS AND LICENSORS EXPRESSLY DISCLAIM ANY AND ALL WARRANTIES OF ANY KIND WHETHER EXPRESSED OR IMPLIED, INCLUDING, BUT NOT LIMITED TO ANY IMPLIED WARRANTIES OF TITLE, MERCHANTABILITY, FITNESS FOR A PARTICULAR PURPOSE AND NON-INFRINGEMENT. SHL AND OUR SUBSIDIARIES, OFFICERS, EMPLOYEES, AGENTS, PARTNERS AND LICESNSORS MAKE NO SUCH WARRANTIES THAT (i) SHL SERVICES OR SOFTWARE WILL MEET YOUR REQUIREMENTS; (ii) SHL SERVICES OR SOFTWARE SHALL BE UNINTERRUPTED, TIMELY, SECURE OR ERROR-FREE; (iii) THAT SUCH RESULTS WHICH MAY BE OBTAINED FROM THE USE OF THE SHL SERVICES OR SOFTWARE WILL BE ACCURATE OR RELIABLE; (iv) QUALITY OF ANY PRODUCTS, SERVICES, ANY INFORMATION OR OTHER MATERIAL WHICH MAY BE PURCHASED OR OBTAINED BY YOU THROUGH OUR SERVICES OR SOFTWARE WILL MEET YOUR EXPECTATIONS; AND (v) THAT ANY SUCH ERRORS CONTAINED IN THE SOFTWARE SHALL BE CORRECTED. ANY INFORMATION OR MATERIAL DOWNLOADED OR OTHERWISE OBTAIN BY WAY OF SHL SERVICES OR SOFTWARE SHALL BE ACCESSED BY YOUR SOLE DISCRETION AND SOLE RISK, AND AS SUCH YOU SHALL BE SOLELY RESPONSIBLE FOR AND HEREBY WAIVE ANY AND ALL CLAIMS AND CAUSES OF ACTION WITH RESPECT TO ANY DAMAGE TO YOUR COMPUTER AND/OR INTERNET ACCESS, DOWNLOADING AND/OR DISPLAYING, OR FOR ANY LOSS OF DATA THAT COULD RESULT FROM THE DOWNLOAD OF ANY SUCH INFORMATION OR MATERIAL. SHL OFFERS INFORMATION SERVICE AND DOES NOT PROVIDE ANY MEDICAL OR CLINICAL SERVICES OR ADVISE. NO ADVICE AND/OR INFORMATION, DESPITE WETHER WRITTEN OR ORAL, THAT MAY BE OBTAINED BY YOU FROM SHL OR BY WAY OF OR FROM OUR STAFF, SERVICES OR SOFTWARE SHALL CREATE ANY WARRANTY NOT EXPRESSLY STATED IN THE TOS. Should you intend to create or to join any service, receive or request any such news, messages, alerts or other information from our Services concerning healthcare, treatment, devices, companies, stock quotes, investments or securities, please review the above Sections Warranty Disclaimers and Limitations of Liability again. In addition, for this particular type of information, the phrase "Let the investor beware" is appropriate. SHL's content is provided for informational purposes, and no content that shall be provided or included in our Services is intended for medical treatment, medical services, trading or investing purposes. SHL and our licensors shall not be responsible or liable for the accuracy, usefulness or availability of any information transmitted and/or made available by way of our Services, and shall not be responsible or liable for any trading and/or investment or treatment decisions based on any such information. SHL may furnish you with notices, including those with regards to any changes to the TOS, including but not limited to email, regular mail, MMS or SMS, text messaging, postings on our website Services, or other reasonable means currently known or any which may be herein after developed. Any such notices may not be received if you violate any aspects of the TOS by accessing our Services in an unauthorized manner. Your acceptance of this TOS constitutes your agreement that you are deemed to have received any and all notices that would have been delivered had you accessed our Services in an authorized manner. You herein acknowledge, understand and agree that all of the SHL trademarks, copyright, trade name, service marks, and other SHL logos and any brand features, and/or product and service names are trademarks and as such, are and shall remain the property of SHL. You herein agree not to display and/or use in any manner the SHL logo or marks. BE IT KNOWN, that SHL complies with all applicable Federal Communications Commission rules and regulations regarding the closed captioning of video content. BE IT KNOWN, that though SHL is not a 'Covered Entity', as a business associate to a 'Covered Entity' it complies with all applicable HIPAA privacy protection standards. Any changes you make to your personal information on this platform are not necessarily updated in any covered entity data set. This TOS constitutes the entire agreement between you and SHL and shall govern the use of our Services, superseding any prior version of this TOS between you and us with respect to GCH Services. You may also be subject to additional terms and conditions that may apply when you use or purchase certain other GCH Services, affiliate Services, third-party content or third-party software. It is at the mutual agreement of both you and SHL with regard to the TOS that the relationship between the parties shall be governed by the laws of the state of Florida without regard to its conflict of law provisions and that any and all claims, causes of action and/or disputes, arising out of or relating to the TOS, or the relationship between you and SHL, shall be filed within the courts having jurisdiction within the County of Escambia, Florida or the U.S. District Court located in said state. You and SHL agree to submit to the jurisdiction of the courts as previously mentioned, and agree to waive any and all objections to the exercise of jurisdiction over the parties by such courts and to venue in such courts. At any time, should SHL fail to exercise or enforce any right or provision of the TOS, such failure shall not constitute a waiver of such right or provision. If any provision of this TOS is found by a court of competent jurisdiction to be invalid, the parties nevertheless agree that the court should endeavor to give effect to the parties' intentions as reflected in the provision, and the other provisions of the TOS remain in full force and effect. THEREFORE, this Privacy Agreement shall govern any and all data collection and usage thereof. Through the use of our Site and Services you are herein consenting to the following data procedures expressed within this agreement. Information that you voluntarily provide such as personal information including but not limited to, identification information, health information, charts, reports, vitals and recordings and so on. E.g. your name, address, age, gender, email address, vitals, billing, insurance and/or credit card information etc., which may be used when you request services, purchase products or services and to deliver the services you have requested, or to maintain our Services. Please rest assured that this site shall only collect personal information that you knowingly and willingly provide by way of emails, surveys, completed membership forms, data input, and other forms. It is the intent of this site to use personal information only for the purpose for which it was requested and any additional uses specifically provided on this site. SHL may also have the occasion to collect anonymous demographic information that may not be unique to you and may even gather additional or other personal and/or non-personal information, such as household income, political affiliation, race and religion, at a later time. We may gather information about your computer hardware and/or software. Such collected information may include, but may not be limited to, your IP address, browser type, domain name, access time, device signature, and various website addresses. The gathering and use of this information may be utilized for maintaining the quality of service we provide, improve user experience and security, as well as providing overall general statistics related to the use of our website and others. SHL may collect and may make use of personal information to assist in the operation of our website and to ensure delivery of the services you need and request. At times, we may find it necessary to use personally identifiable information meant to inform you of other possible products and/or services that may be available to you from us. SHL may also be in contact with you with regards to completing surveys and/or research questionnaires related to your opinion of current or possible new services that are offered or may be offered. SHL does not now, nor plans to do it in the future, sell, rent or lease any of its customer lists and/or names to any third parties. SHL may deem it necessary to follow websites and/or pages that their users may frequent in an effort to gleam what types of services and/or products may be the most popular to customers or the general public. Perform under demanding conditions in an effort to safeguard the personal safety of users of our Sites and Services and/or the general public. All users and/or visitors to our website have the option to discontinue receiving communication from us and/or reserve the right to discontinue receiving communications by way of email or newsletters. To discontinue or unsubscribe to our website please send an email that you wish to unsubscribe to support@gogch.com. If you wish to unsubscribe or opt-out from any third party websites, you must go to that specific website to unsubscribe and/or opt-out. Our website does contain links to affiliate and other websites. SHL does not claim nor accept responsibility for any privacy policies, practices and/or procedures of other such websites. Therefore, we encourage all users and visitors to be aware when they leave our website and to read the privacy statements of each and every website that collects personally identifiable information. The aforementioned Privacy Agreement applies only and solely to the information collected by our website. SHL shall endeavor and shall take reasonable precaution to maintain adequate physical, procedural and technical security with respect to its offices and information storage facilities so as to prevent any loss, misuse, unauthorized access, disclosure or modification of the user's personal information under our control. Through the use of this website, you are hereby accepting the terms and conditions stipulated within the aforementioned Privacy Agreement. If you are not in agreement with our terms and conditions, then you should refrain from further use of our sites. In addition, your continued use of our website following the posting of any updates or changes to our terms and conditions shall mean that you are in agreement and acceptance of such changes. Last revised September 16, 2016.